Pole Docks are designed for shallow water installations (typically less than 6′). Since very little of a Pole Dock touches the water it is the most environmentally friendly design and also the best in rough water. 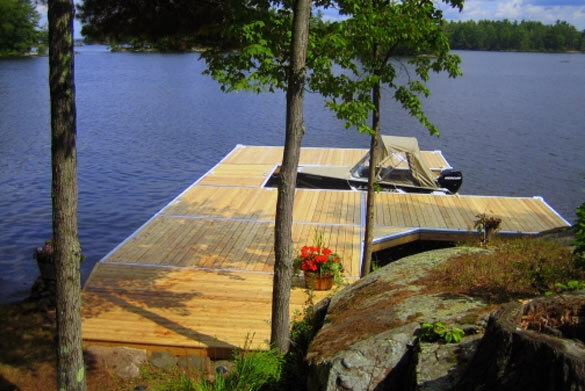 A pole dock is the least expensive docking solution since there is very little shoreline preparation required and the light-weight design and easy assembly will reduce your install and removal crew requirements. Your kids will thank you!! !